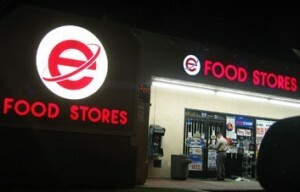 In a continuing effort to blunt the Apple Store momentum, Microsoft has announced they will open new Internet Explorer convenience stores. Here’s a prototype in Bellevue, Washington. These will be companion retail outlets to the new Microsoft Stores recently opened in a couple of markets. Oh, and they’re now working on IE9, even though Firefox is having them for lunch. Have they heard of it?